The event is promoted by the Conference of Catholic bishops. 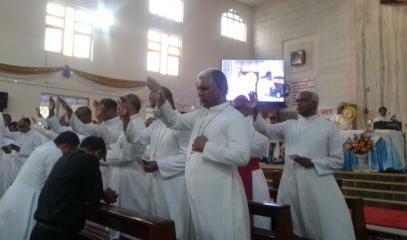 25 prelates participated. Card. 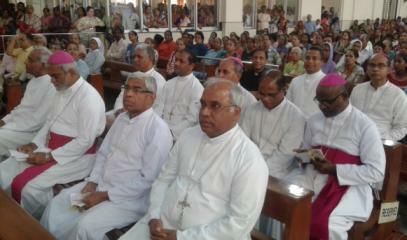 Oswald Gracias recites a prayer of consecration of the mission of the Church in India to the Virgin Mary. Like St. Thomas, "discovering Jesus touching his wounds: The poor, abandoned, elderly, dalit". 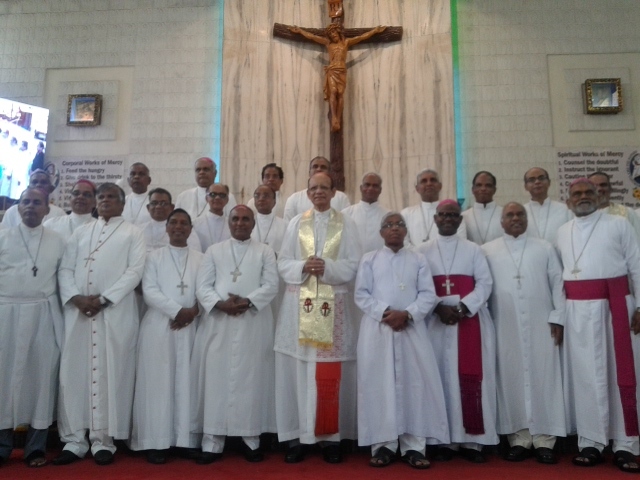 Mumbai (AsiaNews) - The meeting of 25 Catholic bishops from all over India ends today in Mumbai, Maharashtra. 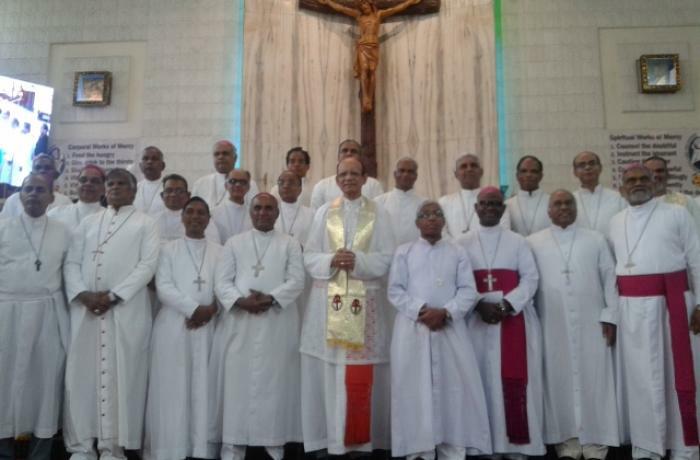 The event is titled "Bishops' Joint Reflection Program" and is organized by the Latin Bishops' Conference [Ccbi, one of the three rites of the Indian Bishops' Conference (CBCI) - ed.). Card. Oswald Gracias, archbishop of Mumbai and president of both ecclesiastical bodies, explains to AsiaNews the purpose of the program: "To reflect on the mission of the Church and how we can touch the wounds of Jesus". 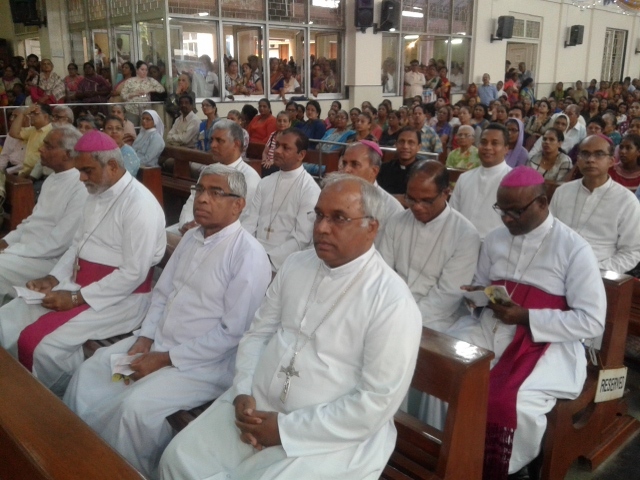 The meetings took place from 2 to 7 July in the Sarvodaya building, on the campus of the Archdiocesan seminary. This is the second tranche of lessons this year; the first ones were held from March 12 to 17. Both sessions, explains the cardinal, fall "within the initiatives suggested by the 29th Plenary Assembly of the Ccbi which took place in 2017 in Bhopal (Madhya Pradesh)". 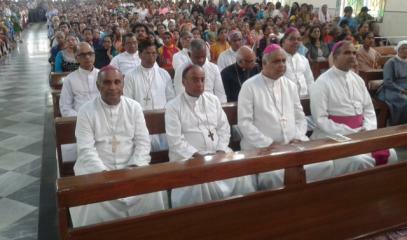 Today, during the Mass that concluded the program, Card. Gracias recited a special prayer of consecration, with which he entrusted the mission of the Church in India to the Virgin Mary. 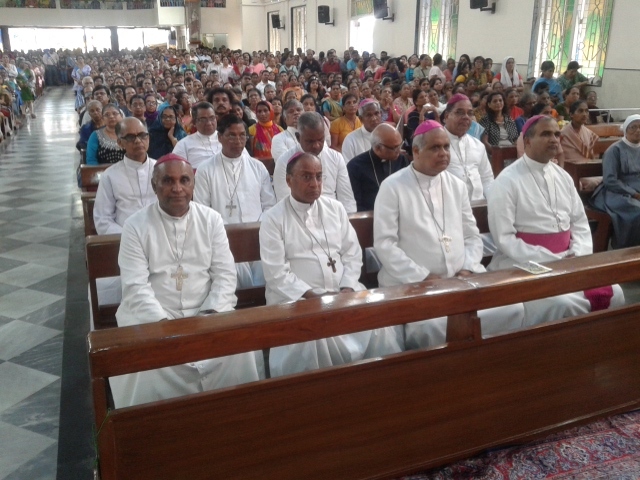 Earlier on July 4th the bishops went on a pilgrimage to the Basilica of Bandra; here the Indian dioceses were gathered in prayer and dedicated to the protection of the Blessed Virgin Mary of the Mount. 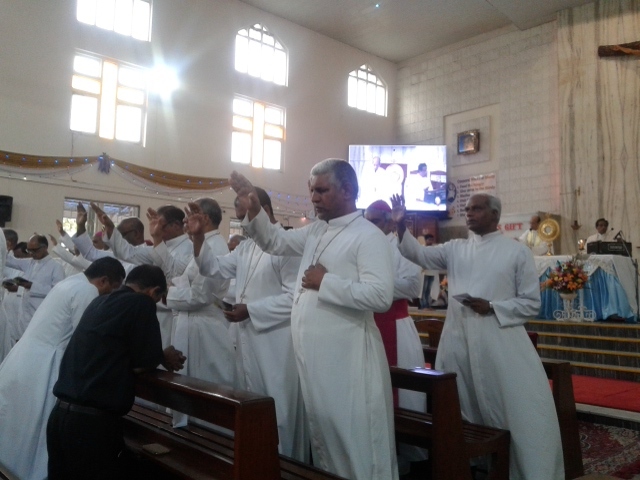 Then from the diocesan shrine they reached the church of St. Michael in Mahim, where they participated in a novena recited in Hindi and witnessed the Eucharistic blessing by the cardinal. Finally, around 6.30 pm (local time), they concelebrated a Mass in the Cathedral of the Holy Name of Mumbai and prayed for the archdiocese and for the whole Indian Church. The archbishop reports that "St. Thomas the Apostle, whose liturgical memorial recurred on July 3, wanted to touch the wounds of Jesus with his own hands. By touching the wounds of Jesus in the marginalized, in those who suffer or who are sick, we can find Jesus ". In the same world, he added, "for us in India, as it was for St. Thomas at the time, we can recognize Jesus through his wounds: they are the wounds of the abandoned and the needy, the elderly and the poor without a home. They are the wounds of those who live in distant places, the Dalits and tribals, the indigent farmers and those who are in prison, the orphans and widows, those who suffer from miserable poverty ". "The identity of Jesus - he concludes - is his wounds. This is the mission of the Church in India: to touch wounds with tenderness and compassion ".